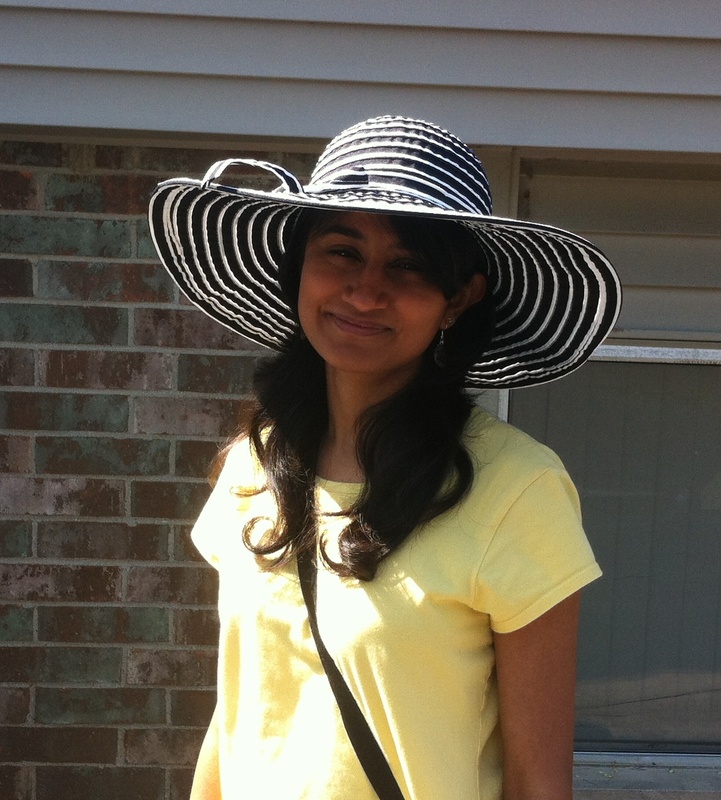 This week’s BEACON Researchers at Work blog post is by MSU graduate student Abhijna Parigi. Of all the bizarre animals that live in the deserts, grasshopper mice are, objectively, the cutest. These cinnamon-colored rodents are small enough to fit in the palm of your hand, weighing no more than a common house mouse. In the hot, dry deserts of the southwestern United States and northern Mexico, grasshopper mice have adopted a nocturnal lifestyle, where they use their large black eyes and highly sensitive ears to navigate in the dark. 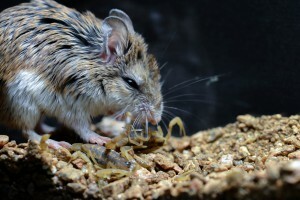 Unlike most rodents, grasshopper mice are vicious carnivores that regularly hunt reptiles, other rodents, and large arthropods. In the dead of the night, they are known to stand up on their hind legs and howl at the moon, before using their quick reflexes and sharp teeth to hunt prey. However, the wolf-like habits of grasshopper mice are not their most striking traits. All three known species of grasshopper mice (genus Onychomys) share their habitats with, and regularly hunt, a number of venomous and toxic arthropods. One, the bark scorpion, uses painful neurotoxins both as a defense against its predators and as a means of capturing and paralyzing its prey. Over evolutionary time, in response to the strong natural selection imposed by bark scorpion envenomation, grasshopper mice have evolved physiological resistance to bark scorpion toxins (A. H. Rowe & M. P. Rowe 2008). The amount of scorpion venom that can quickly paralyze and kill a common house mouse seems to have little effect on the grasshopper mouse. 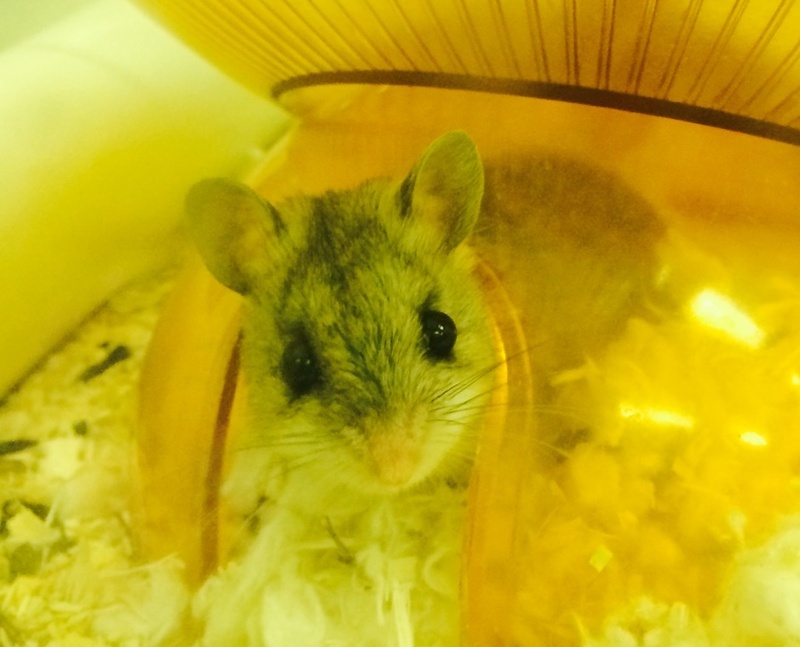 The Rowe lab at Michigan State University focuses on understanding how: 1) grasshopper mouse nervous systems have evolved in response to selection by pain-inducing venoms, and 2) how venoms themselves have changed over time. 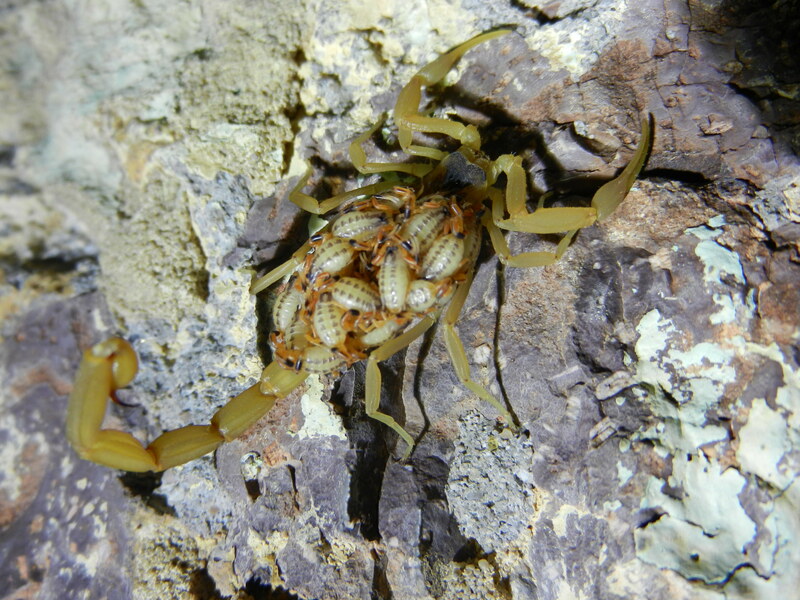 We think that grasshopper mice and bark scorpions may be involved in an escalating evolutionary arms race, where toxic scorpion venom selects for more resistant mice, which in turn select for more toxic scorpions. Pain signals are detected and transported to the brain via the action of three types of specialized proteins called voltage-gated sodium ion channels (Nav1.7, Nav1.8 and Nav1.9). Because the ability to sense pain is crucial for survival, functional sodium ion channels are highly adaptive, and their structure is conserved across many diverse taxa. In other words, even small changes (mutations) to these proteins may dramatically alter the electrical properties of neurons, and manifest as neurological disorders. For example, in humans, mutations in the Nav1.7 gene are shown to cause many pain disorders ranging from complete pain insensitivity to the sensation of intense chronic pain. 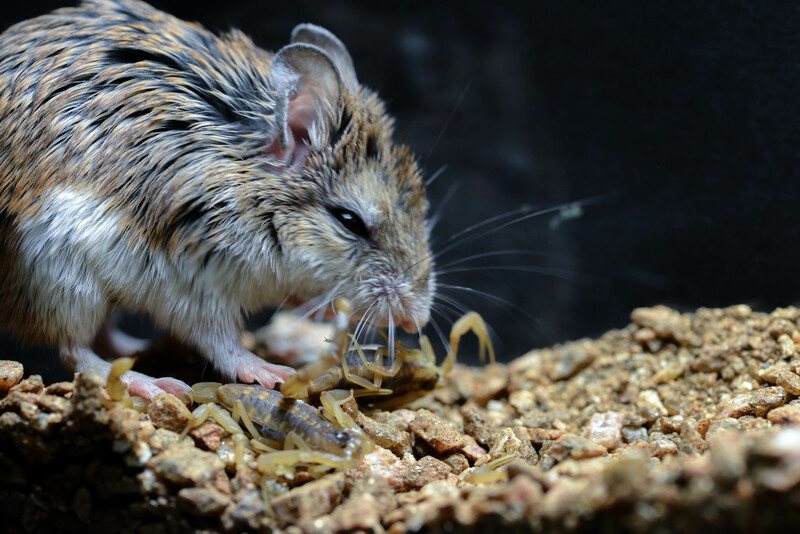 Previous work in our lab has shown that grasshopper mice have evolved a clever way to (at least in part) shut down pain signals induced by bark scorpion venom, without compromising their ability to sense other types of pain. In grasshopper mice, sodium channel Nav1.8 carries structural modifications that allow the channel to bind with venom and block the pain signals that the venom was originally meant to induce (Rowe et al. 2013). That is, the venom acts as its own painkiller. Although the role of grasshopper mouse Nav1.8 in scorpion venom resistance was an exciting discovery, it is only a small part of much larger story. 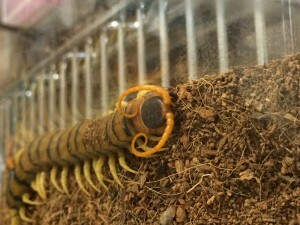 Grasshopper mice feed on a variety of other neurotoxic prey, including tarantulas and centipedes, which defend themselves by using sharp mandibles to inject their predators with painful venom. As we know nothing about how grasshopper mice react to tarantula and centipede venom, I am studying the effects of tarantula and centipede venoms on the electrical properties of different sodium channel isoforms involved in the pain pathway. In particular, all three venoms (centipede, tarantula and scorpion toxins) contain peptides that bind to Nav1.7, a channel that is critical for pain sensation (Dib-Hajj et al. 2012). An additional fact that makes Nav1.7 interesting is that this channel is also expressed in one other tissue – the olfactory epithelium, where it plays a vital role in mediating the sense of smell (Weiss et al. 2011). This dual functionality of Nav1.7 makes it especially suitable for the study of evolutionary trade-offs. Evolutionary changes to the functional properties of Nav1.7 that alter pain sensitivity may inadvertently change the channel’s functionality in the olfactory tissue – perhaps compromising the animal’s sense of smell. On this front, an exciting result has been the discovery that the grasshopper mouse Nav1.7 gene (as expressed in pain sensing neurons) carries structural modifications. Further, these modifications are located in areas of the channel that may be involved in mediating its electrical properties. Grasshopper mouse poking its head out of its laboratory home. My greatest challenge in the Rowe lab thus far has been to clone the Nav1.7 gene for expression in a commercially available mammalian cell line. Doing so will enable me to use electrophysiological techniques to compare the electrical properties of the modified grasshopper mouse Nav1.7 channel to that of the wild-type house mouse Nav1.7 channels. To get to the bottom of whether or not Nav1.7 substitutions in the grasshopper mouse pain-sensing neurons trade-off with the animal’s sense of smell, I am conducting behavioral olfactory sensitivity assays. These simple assays will test for differences in the threshold at which grasshopper mice and house mice can smell specific odor cues (e.g. peanut butter, urine, predator scent). Although I do not have any results to share at the moment, our preliminary data suggest some exciting patterns that we are eager to explore with further experimentation. 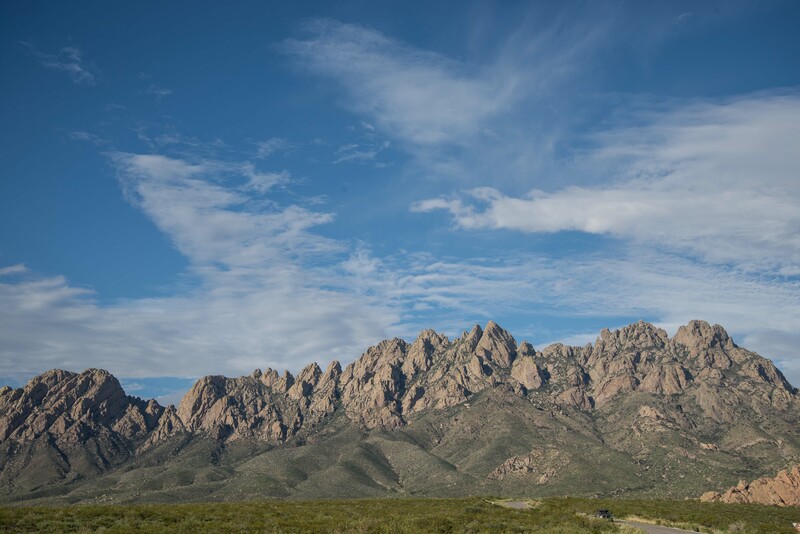 Organ Mountains: one of our field sites. Dib-Hajj, S.D. et al., 2012. The Nav1.7 sodium channel: from molecule to man. Nature Reviews Neuroscience, 14(1), pp.49-62. Rowe, A.H. & Rowe, M.P., 2008. Physiological resistance of grasshopper mice (Onychomys spp.) to Arizona bark scorpion (Centruroides exilicauda) venom. Toxicon, 52(5), pp.597–605. Rowe, A.H. et al., 2013. Voltage-gated sodium channel in grasshopper mice defends against bark scorpion toxin. Science, 342(6157), pp.441–446. Weiss, J. et al., 2011. Loss-of-function mutations in sodium channel Nav1.7 cause anosmia. Nature, 472(7342), pp.186–190. 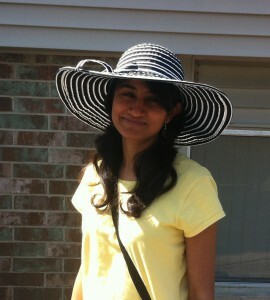 For more information about Abhijna’s work, you can contact her at parigiab at msu dot edu. This entry was posted in BEACON Researchers at Work and tagged BEACON Researchers at Work, Biological Evolution, Field Biology, genetics, grasshopper mice, physiology, predator-prey, scorpion. Bookmark the permalink.